Key Summer Outfit Components: Flat & leather espadrilles with an ankle wrap, looser jeans, and loose blouses. No dresses, almost ever! No, I’m not leading into a Pulp karaoke session; I mean, do you remember the first time you saw that photo of Emmanuelle Alt wearing a perfect crisp shirt and fitted flared jeans on The Sartorialist and wondered how she dresses so perfectly? Who else can transform a white t-shirt and jeans with just a pair of low-heels (are they Jimmy Choo or Manolo Blahnik, will we ever find out?) and a gold-buttoned blazer? All of the sudden a plain outfit is brought to a new level of simple sophistication. A true mark of style is the ability to uniformly dress and never stress. Emmanuelle Alt does this with the ease only an inherently confident and stylish woman can. But where does that ease and confidence come from? Certainly being the editor in chief of Vogue Paris, the most regarded magazine for fashion, does not hurt your ability to get dressed in the morning. But whether we’re editors of our favorite magazine or not, believing in ourselves – and I don’t mean believing in our judgment of that new crop top; I mean believing that “you can and you will” accomplish anything in the day that you put your mind to – is the most important part of picking out the day’s wares. 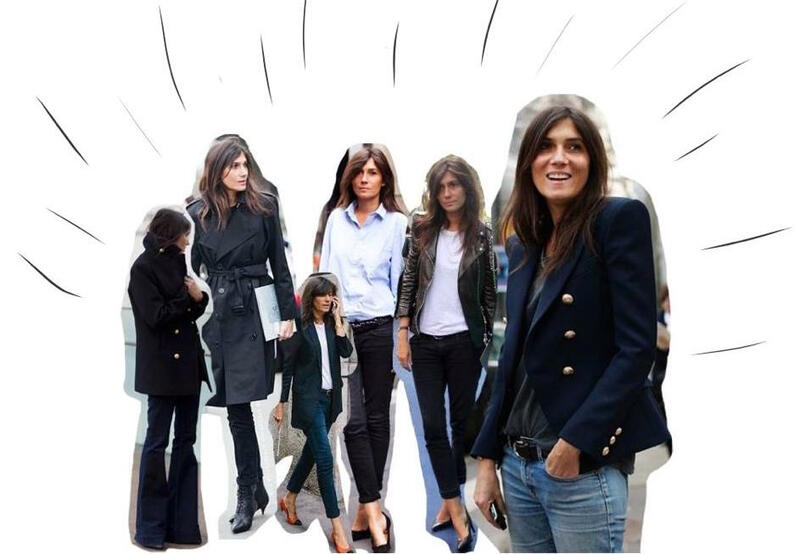 Balancing Balmain with Topshop skinny jeans, Emmanuelle Alt practices what she preaches. Her self-confidence makes a pair of black pants and a t-shirt look as apropos for a red carpet as a Givenchy gown. From a karaoke video of Wham!’s “Wake Me Up” with all the Voguettes to a strikingly simple cover with Sophie Marceau on an orange backdrop from May 2014, Emmanuelle has not only brought a sense of levity to Vogue Paris, but without ever meeting her, she has inspired me (and many other Alt-obsessives) to be more confident in myself and my wardrobe.